Dr Simone Stumpf and Dr Sara Jones will be attending the User Experience Professionals' Association (UXPA) London Conference from 21st-24th July. 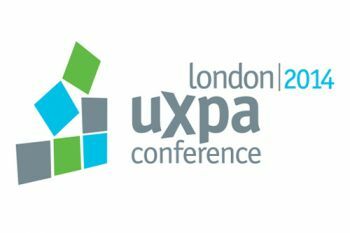 City University London's Dr Simone Stumpf and Dr Sara Jones will be attending the User Experience Professionals (UXPA) London Conference from 21st to 24th July. The UXPA is a global professional association which supports people who research, design and evaluate the user experience of products and services. It serves over 2300 members by promoting concepts and techniques in usability through its publications, conferences and World Usability Day. 'Motivation' is the theme of this year's Conference, which is supported by a programme that includes 80 sessions across five topics. Presentations include "The Future of UX", "Space, Place and Engagement with Digital" and "Using UX Metrics to motivate Data-Driven Decisions". "The MSc in Human-Centred Systems is an ideal starting point for a career in User Experience (UX). We have a close affinity with the UXPA UK and we are very proud to be part of the annual international UXPA conference, held this year in London, to answer questions from potential students and practitioners about our course to create an engaging user experience and advance the way that people interact with technology." "For more senior UX professionals, our Masters in Innovaton, Creativity and Leadership provides an opportunity to develop practical skills in a wide range of creativity and innovation processes and techniques, as well as the leadership skills needed to successfully manage innovation projects."